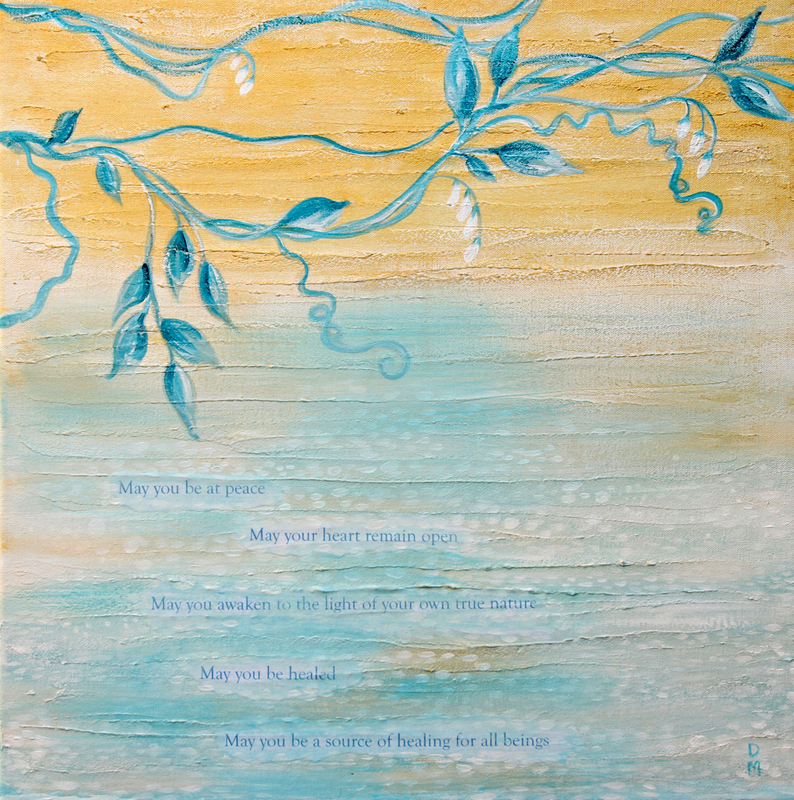 This work's theme is a Metta Prayer of kindness. The words are incorporated into lines of raised paint and design. Iridescent gold and a vine carry the wish to those who accept the blessing.